Club Penguin Cheats by Mimo777 Club Penguin Cheats by Mimo777: Club Penguin Storm Theories! In the Club Penguin Times, Gary the Gadget Guy described the storm coming to the island as a "low pressure system is bringing a super-cell of cumulonimbus clouds." Low Pressure systems: have winds that rotate counter clockwise. Can spawn tornados or hurricanes, if over warm water. Can also make snow and ice in the winter. 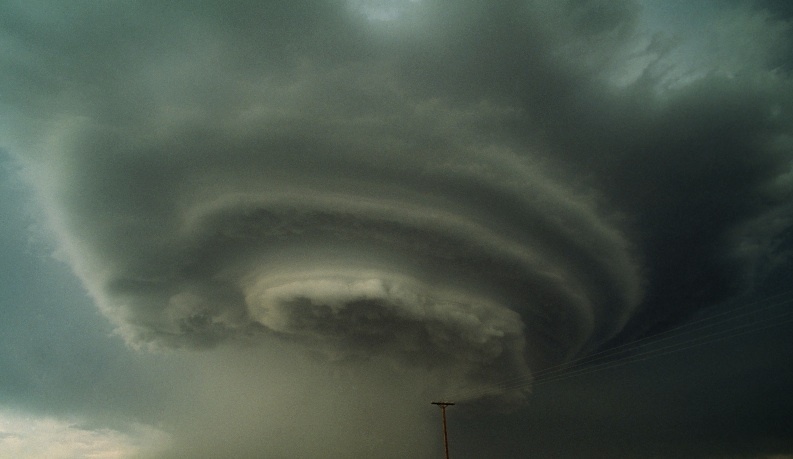 Supercell: Produce huge amounts of large hail, torrential rain, lightening, flooding, strong winds and possibly tornadoes. Cumulonimbus clouds: Associated with heavy rain, snow, hail, lightening and tornadoes. Ok, so you ask, what does this weather lesson have to do with Club Penguin? Well, we know the island has been flooded for the Water Party, right? It has had an earthquake for a mission, right? It has had lightening which brought Card-Jitsu and a volcano which brought Card-Jitsu Fire, right? So, here is my theory. If Card-Jitsu Water will be here next month, the storm Gary is predicting could bring a tornado, hurricane or hail that hits the Waterfall to produce the new Card-Jitsu game! The storm could possibly just bring rain, flooding and lightening, but that has already been done before, right? I am hoping Club Penguin wouldn't repeat a natural disaster! So, let me know what you think about my theory, k? Do you think I am correct, or do you have even a better theory? If so, let me know! Are you a Little Monster? TORNADO ?????????? AAAAAAAAAAAHHHHHH! (sorry for the caps) omg tornado???!!! i live where there are sometime tornados but not a lot of them but still tornados freak me out! O o and first comment! Its says snow and Hail... so maybe BOTH card-jitsu's are coming! Like a huge mega storm creates a hideout for both games...? My Idea, and I think it is a good idea! Wow, Mimo... Seriously? That is awesome! Good theory! Thanks for sharing it with us! Sweet. I hope Card-Jitsu Water is coming out, cuz ive been a Fire Ninja for Along time now. So long that I ate 1 whole piece of cheese! Thats pretty long! I think card jitsu water is just coming. Although I would be surprised if both did come! Yo, maybe if the island dose get flooded, all of under ground will get flooded. Which may lead to a pipe. Which may lead to fountain. Which may lead to the new room, called TOWN CENTER! obviosuly you dont like cheese.but i ate 50 pieces,and that was one week. Mmmmm, on my knowledge, i'm sure that the CP Gang won't make a natural disaster as big as a tornado! I mean, that would be very dumb, as it will destroy EVERYTHING. So let's take out Tornadoes. A flood? That already happend, and it was dangerous, also, the island could debalance again (Herbert's Revenge). So it IS probable that a rain could cause a cave to fill with water NEAR the waterfall, and the waterfall keeps filling it with water, or something like that. mimo i think your theory is correct. what else would happen for card jitsu water? i wanna see what they do for card jitsu ice! Mimo I think your spot on! Matias You have a excellent point there! In Matias's words, since there may be SNOW and rain, maybe Card-Jitsu Snow will be out too! (Sorry for caps on snow) Awesome job Matias! Please don't use caps at all costs, and also, don't say first comment please. I'm not trying to be mean, it's just the rules. Wow, intresting. If a tornado goes and hits my log cabin igloo, im gonna be pretty mad. lol. Log cabin flying through the air in a twister. Or log cabin pieces anyway. Just imagining what it would be like... Also, run puffles!!! I hope a Club Penguin tornado won't hit your igloo. Then ice bricks will be flying everywhere. Watch out penguins! Maybe. But I think they should be at seperate times so the Card Jitsu spirit will stay alive for another year or so. Yea, pretty great theory isn't it? I wonder it a tornado will destroy any of the Club Penguin buildings. Yea well, i've been a Fire Ninja so long that I ate 7 whole pieces of cheese! Heh heh, wait... How long is that again? not whats... i meant thats... sorry xD. No offense to you Dj Wazzer, but unless you're working with club penguin, nobody really knows whats coming. Club Penguin could throw a curve ball and bring both. I think you might be right but a tornado is a bit too much dont you think? Mimo, this is part of my theory adding to yours. Isn't a low-pressure system mean it feeds off of warm air? In CP, it's cold, especially during October. A high-pressure system would make more sense in this situation. If it were high-pressure, or cold air, instead of a hurricane, it would be a Nor'Easeter. I was hoping that the code from "Game Day!" would unlock the mysterious Town Center (or whatever its real name is), but no. We'll have to wait and see! I've been waiting a lot for that room with the fountain, the message board and the gazebo thingy! P.S. Great theory, Mimo! I really hope that Card Jitsu Water is coming out. I'm not a fire ninja yet, so I've better get going. Oh, and sorry for long comment. Good thinking! Well, I think all card jitsu's are coming out different times. See, November 2009 brought us Card Jitsu Fire, right? I think November 2010 and November 2011 will bring us Card Jitsu Water and Snow! That's my theory! Wow Thats A Madd Pic And Your Madd Mimo This Site Is Awesome You Rock. By The Way Can I Become A CPG Moderator? Plz Plz Plz Plz Plz Plz Plz Plz Plz Plz Plz Plz Plz Plz Plz Plz Plz Plz Plz Plz I Beg You. Off topic, but the blog's back. I have alot too comment about! Firstly, I think there will be no tornado or another different disaster, afterall gary just said it was a storm, just unusualy long,( possibly it rains so much that card jitsu water comes blah bla... in an exciting way)!! And you said "low pressure systems: have winds that rotate clock wise to create tornados and hurricanes, IF OVER WARM WATER (just wanted to sorta see that point)". Where is the warm water? Is it lava from the volcano erupting and then mixing up with the water to create a warm liquid and then the regualar low pressure systems comes somehwhere by earths rotaton where rockhopper can only go and then supercells, and colombious clouds come (this supercells+colobious cloud could create a unusuualy long storm as said in the newspaper, but where do does the low pressure system come in?) and then hey presto card jitsu water comes with a very unlikey story behind it??? I know Cp is a computer game, but it also teaches education. I half agree with matias, I disagree card jitsu snow will come, no proof and that is strange. I agree with matias about the snow part, however the snow could hit the water fall, thus creating a platform to practice card jitsu water. Wow! I never thought of it that way! I think you might be right! tornado, nah. hail, nah. I'm thinking hurricane. It brings a lot of water, and it's powerful. Hail is probably for card jitsu ice. I would write more, but I have to go to school. Hmmmmmmmm! Interesting theory but I think it would make more sense for card jitsu water. Hmmmmm! I see where you're coming from but I think club penguin could risk it. I mean they risked making a volcano almost erupt which could of destroyed everything and anyway gary could have some random invention or something to stop the tornado but doesn't stop the rain and the storm or something like that. I'm guessing card jitsu snow is gonna be a snow storm. Well done for getting your name on the post! I think card jitsu water will probably come november 18th or around then aswell. I'm not sure a storm could be caused by Herbert!...Although I could stand corrected, he could make a random machine to make weather patterns that interfer with the weather around club penguin. Then we have to stop the machine, the water dojo comes out and the island is flooded for a water party! :D I still don't think all of it will happen. Maybe! But you never know what the club penguin team would come up with! They've done a volcano and an earthquake before so why not? I think thats a great theory mimo. I hope they don't repeat any too. I so want Hail and Tornado! I love natural disater videos! But not whehn they are real and near meh house. I really wish i was your friend.... and psst! It's Ron68, this is just my blogger account for chobots. TORNADO! Finally! I was waiting for somekind of natural disaster! P.S I was in the Tsunami of 2004 that was in the Indian Ocean. COOL AND AWESOME!!!!!!! But at the same time I know alot about weather but nobody asks me about weather :( Best wishes and good luck to the person who gave Mimo the infomation! But he missed out a point: Low pressure systems can also spawn tornadoes and hurricanes over land and sea, but also they can spawn supercells and lots of them, which means there could be more than 1 supercell. hmmm... maybe clubpenguin are going to have special twirling clouds and maybe even a tornado! now THAT would be awesome! Sorry yo birst your bubble dude, but according to the blog you're not a MOD. You see, Mimo changed things around. You can no longer just say you are a CPG Moderator, Mimo has to choose you. I so agree with that! And if the Water Dojo's not going to come im gonna cry!!!! -Yo, maybe if the island dose get flooded, all of under ground will get flooded. Which may lead to a pipe. Which may lead to fountain. Which may lead to the new room, called TOWN CENTER! I totally agree! Maybe we'll have to stay underground cause of a tornado... who knows! I like your theory! I think something like this will happen! See Mimo this is just what I predicted a couple months ago when I said that the volcano reps fire card jitsu, waterfall reps water card jitsu, and the mountains rep snow card jitsu. Great way to think outside the 3d square and come up with your theory! Oh, I forgot to add to that Cpg mod comment to Bumper. Servere storms are the most common of all storms. They're not rare... this type of storm that gary oppinted is, but nope. Servere storms are just as common as how common ants are. Supercells usually prouce tornadoes I love being an expert in Weather for a kid my age. I hope it will be a cool water-filled room or something. Good theory!!!! But sadly when lava mixes with water it makes rock, not warm water. hey mimo, just saying, i can add 1 thing that i'm almost sure will happen...scavenger hunt! it happened with c.j. fire, so i'm guessing the same will go for water and ice. Don't you just HATE(sorry for the caps) hackers?? I mean seriously. Club Penguin should have a security camera. Mimo, I may not agree with you most (99.99%) of the time, but your waterfall theory is quite clever. Maybe there will be a real club penguin tornado and maybe break all the buildings in cp! Ahhhhhh!!!! !